Welcome to the Western New York Waterfall Survey. Online since February 27, 1998. 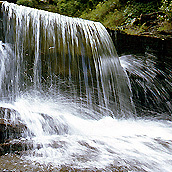 My name is Scott A. Ensminger and in 1991 I initiated the Western New York Waterfall Survey. 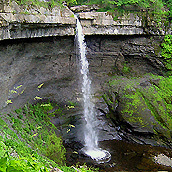 Its purpose is to catalog all of the falls in the western half of New York State. As of December, 2018 the total of known waterfalls was 1,135. This site was last revised on: December 31, 2018. This site is indexed by the FreeFind.com Search Engine.